2 PhysX is not KSP's Physics engine? 3 Does this count as a stub? 5 Dead or Hell Kraken? 6 New type of Kraken? 8 Aren't most of these just the same bug under different circumstances? 17 New/unidentified Kraken or glitch? PhysX is not KSP's Physics engine? Does this count as a stub? The problem is that it seems Squad has, in the past, jokingly referred to *all* bugs as "the work of the Kraken", while the community seems intent on narrowing it down to one bug, giving all the others a variety of names. Each specific short-lived bug having it's own specific name is going to cause a lot of confusion down the road. Hi once when descending from kerbin orbit with a manned mission in career mode I hit the physics warp to speed things up, at 4x and when hitting the 500m above ground my parachutes ripped off of the ship... my pod was doomed but I recently found a parachute on debris.... several million km from the entire Kerbol system. Is this a Kraken or just Physics warp? This was BTW in career mode, 0.22. I have screenshots, how do I upload them? 54,419,519,000,000 altitude and rising, speed 861209.1 m/s A simple top mounted parachute the one you have at the start. I also made the Hell Kraken crashing into Ike with a small "missile" fired from a ship, consisting of Lv-909 engine, 3 t100 fuel tanks, the small remote guidance unit and an aerodynamic nose cone, with a radial decoupler. Before the Hell Kraken though when trying to decouple the pair of missiles my ship was ripped apart leaving the main control stage and the 2 "missiles" as well as a t100 fuel tank... one of the missiles when fired supposedly escaped Ike and the other crashed into it, making the Hell Kraken when I tried flying the ship again. It also affected ALL my saves, leaving black KSC on 3 different ones. Restarting the game seems to have worked though. Aren't most of these just the same bug under different circumstances? Hey everybody, I have a question about an attack I had. So this is how it went: I had 2 ships docked in a Kerbin orbit. I fired the larger ship's engines to put me on a Hoffman Transfer to Minnmus. The smaller ship started swinging around on it's docking port. It suddenly clipped through the larger ship. Then both ships exploded, leaving nothing left. The "Great Galactic Ghoul" was a joke made to "explain" why many probes sent to Mars were lost. I added in some information about the bug that occurs when you fire a Kerbal with achievements logged to it. I don't know if this is the same bug as the Kerbal Kraken that was already on the page, but it has the same effect. If I have discovered a new one. As of 1.0.5 I have been noticing that some of my spacecraft will suddenly and catastrophically overheat and explode when they are loaded from a save, selected from the tracking center, or rendered upon approach. This especially happens on craft that are using heat generating tools or modules. I have noticed any radiators will rapidly heat up and explode, followed by the various other parts of the ship. Sometimes every part will heat up simultaneously and evaporate to nothing. I do not know what causes it, but my hunch is that heat is tracked during time warps and exponentially builds up when the ship is being time warped outside the range of its rendering. Once the ship is encountered in real time, this might create a cumulative heating effect. So far I have been able to deliberately replicate the problem by leaving drills and converters on a craft running while doing other missions. The overheating will happen regardless of whether or not the craft is capable of controlling heat levels indefinitely. I have replicated it on the launchpad, on the mun, on minmus, and in orbit. Does anyone else have this problem? I have mods such as Stage Recovery, Alarm Clock, Infernal Robotics, and Kerbal Attachment System installed. Note that I have had this problem before they were installed though. I'm not quite sure if this has been reported, but I could not find anything on it on this page or through Google. It's happened to me a few times; the next time, I will be sure to record the version number, time, etc. to report properly. It seems to happen when I make very, very large ships, ones that would probably trigger a Launchpad Kraken. When I press Launch from the VAB, or when I revert flight to launch (after launching the ship successfully before), I may be faced with my ship on its side, seemingly floating quite far above Kerbin and moving downward. It will just move through the surface at a moderate speed and keep going. The stages, velocity, and time are missing, and the elevation constantly reads as sea level. My navball will show SAS options only available in orbit (such as the normal and antinormal) as well as the target symbol, although it reads Surface with SAS and RCS off. Thrust will be at zero instead of the default. I can't remember if there was ambient sound. Usually, reverting flight to launch fixes it. During the most significant occurrence of this bug, though, which I [took a screenshot of], the ship's top thrusters were smoking despite them not being in the first stage, let alone triggered. As always, I [moved below the surface]. This instance differed not only because of the thrusters smoking but also because reverting the launch did not help; it would repeat this bug, or crash. I verified my KSP files and relaunched; everything was fine. The ship was on the pad, but I was a bit scared to load it on the launchpad itself. I instead loaded the ship in the VAB, but I could not edit the parts. I could not even build a new ship. When I launched it, it exploded and crashed. I ended up deleting the save data for the craft itself. Everything was fine after that. I checked all of my orbiting ships, which were OK. 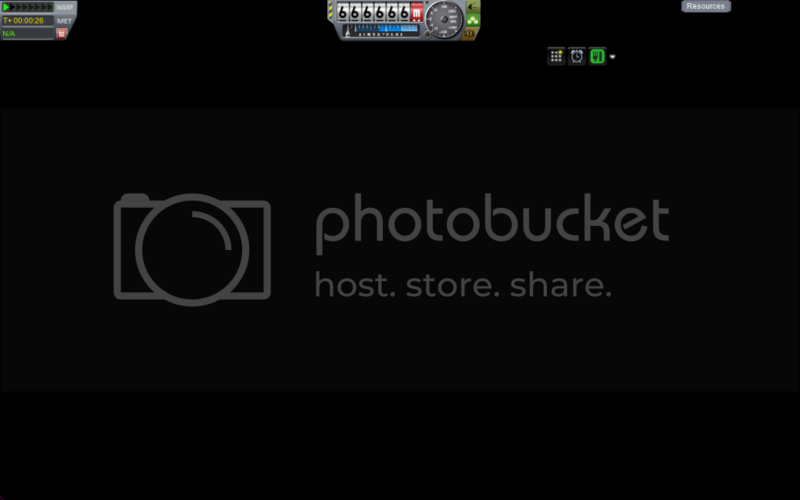 I had verified my KSP files, and I do not run mods. I always use the most up-to-date release of KSP. This along with the fact that I have encountered this about three times (though only once to the extent of the detailed incident) suggests to me that something is wrong. Am I the only one to experience this? Or is this an unidentified Kraken? This is somewhat similar to the 'New/Unidentified Kraken' above. I launched a three engined jet from the SPH, and as soon as it was launched, I was teleported into space with my plane stuck to the lower-left corner. The extra fuel tanks in front of the two Goliaths where smoking and the main Mk3 fuel tanks seemed to have disappeared because the strut connectors where connected onto space.The Map view was focused on Kerbol and there was no trace of the craft, either in space or on Kerbin. It then fell toward the Kerbin and fell through it. I could see a light source from inside Kerbin. When I reverted to launch, I could not move anything. In SPH, it couldn't be edited and when I tried to launch, it cannot be launched because the game said that it has to be brought into SPH. It was in version 1.0.5 and I use no mods. Does anyone ever had similar bugs, this only happened once to me. This page was last edited on 14 April 2016, at 04:09.